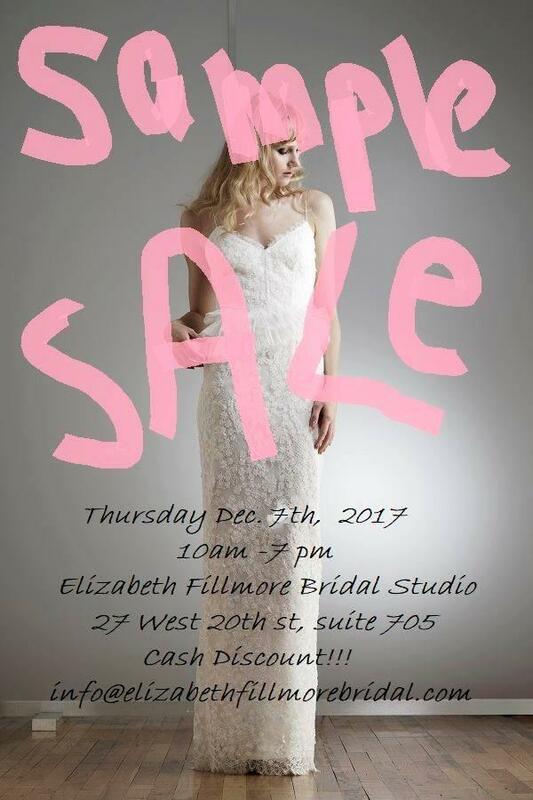 Find your perfect dress for just $500 to $2000 at this one day sample sale from Elizabeth Fillmore in NYC! Sizes will be mostly 4 to 6, although there will be some 8s on offer too. Credit cards are accepted, but there is an extra discount for paying cash. Email info@elizabethfillmorebridal.com for more details and to RSVP.